So you’ve decided on what pool will work in best with your home and outdoor living areas. You’ve picked the shape, the tiles, the colour and the filtration system. But what are you going to pave the surrounding area with? 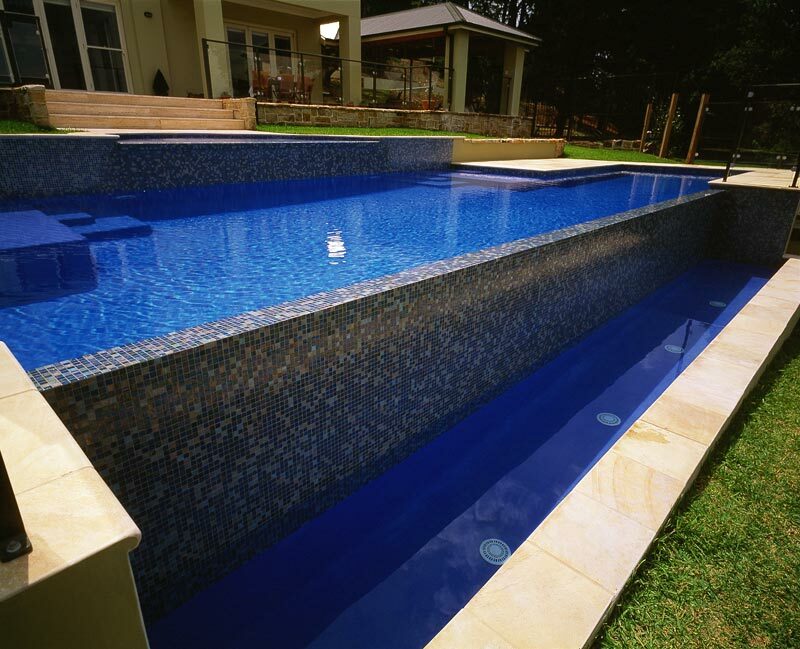 Many new pool owners fail to put as much effort into the selection of what might go underfoot around their new pool as what they do with the gardens and surrounding accessories. This is despite the fact that the pool landscaping is one of the most important components of the pool area and will ultimately reflect on the overall look, feel, functionality and price of your swimming pool project. There are many different pool decking material types on offer, so it’s important to first determine your budget and your desire look. Here are a few popular choices for poolside paving. Elegant and durable, sandstone tiles are a popular choice for poolside paving. As well as creating a sophisticated, modern look, sandstone tiles are non-slip, which should be an important factor in your decision process. Sandstone is generally a more expensive tile option priced at around $30 a square metre. Timber decking is a great way to create a modern look for your swimming pool. It is also affordable and easy to maintain. A coat of varnish can have it looking like new every few years. There are many different colours and stencils that can be created in your poolside concrete. Some poolside concreters will incorporate pebble Crete in a variety of colours to ensure your swimming pool area is slip free.